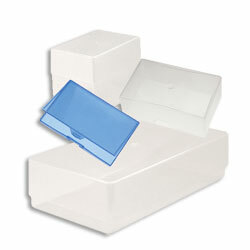 Purpose designed boxes with a transparent lid to display your printed cards to their best advantage. Standard size holds 125 cards. 97 x 62 x 36mm.